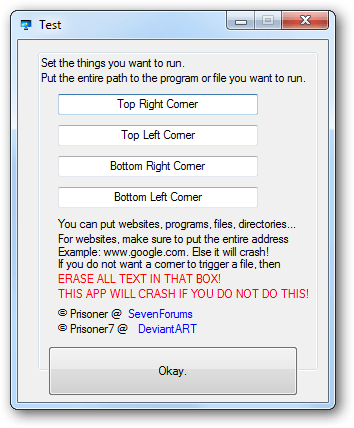 Hot Corners is a free portable tool for Windows that allows you to assign shortcuts to the corners of your monitor. For example, you can set the top-left corner of your monitor to run Calculator. Now whenever you will move your mouse over the top-left corner of your monitor, it will automatically run Calculator. Run the tool and it will sit in the system tray. To customize its settings, right-click on its tray icon and select Setup and Info.